In Dharma Yoga Center Zagreb you can find the time to get in touch with your body, mind and soul through yoga. 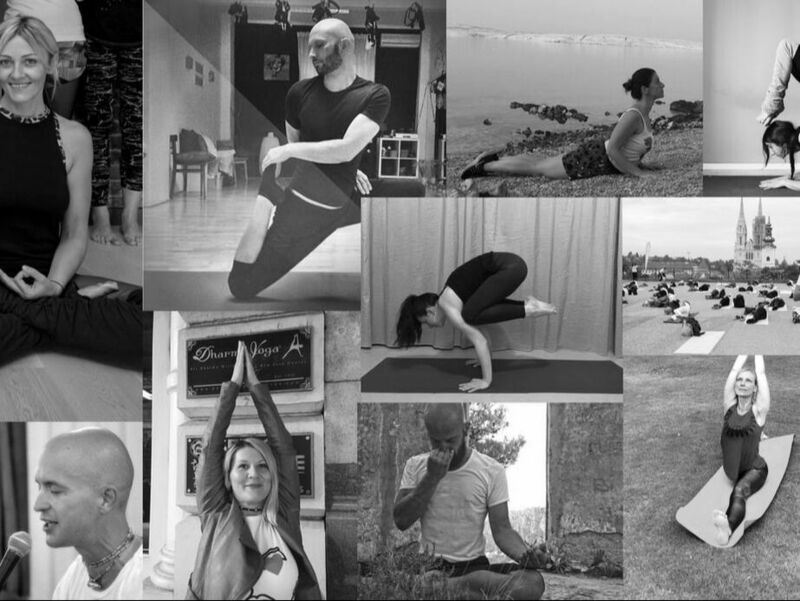 ​We offer you about 30 yoga classes per week suitable for all levels, from absolute beginners to advanced practitioners. In the beautiful space with warm and welcoming atmosphere you will find everything you need for your practice and a rich program that meets all aspects of yoga. ​All our yoga classes are tailored to students’ levels and are taught by highly qualified and experienced teachers. Classes are guided on Croatian and English as well. - Yoga Nidra & Deep healing relaxation, Pranayama, Kriya, Meditation and Psychic Development. Zagreb School of Yoga Science is the continuation of the Divya Yoga School, one of the first yoga schools in Croatia, co-founded 2009 and co-leaded by Sandra P. Pintaric. Our program is according to Yoga Alliance standards and is based on knowledge of Hatha-Raja Yoga and other main yoga traditions. We are offering basic and advanced teacher trainings RYT 200/500. Dharma yoga came to Croatia in 2011 through Sandra P. Pintaric, the first teacher in Croatia and in this region of Europe. Since then she has been serving Dharma Mittra Yoga through her yoga center in Zagreb and traveling all over Croatia and neighboring countries.​ She has been practicing yoga since 2001 and also serving as yoga teacher since 2007. There are also many other dharma teachers and students who contributed to the creation of a beautiful yoga community in Croatia. ​​As part of our center we also offering Dharma Art House - Yoga Shop with our Art work and yoga stuff.